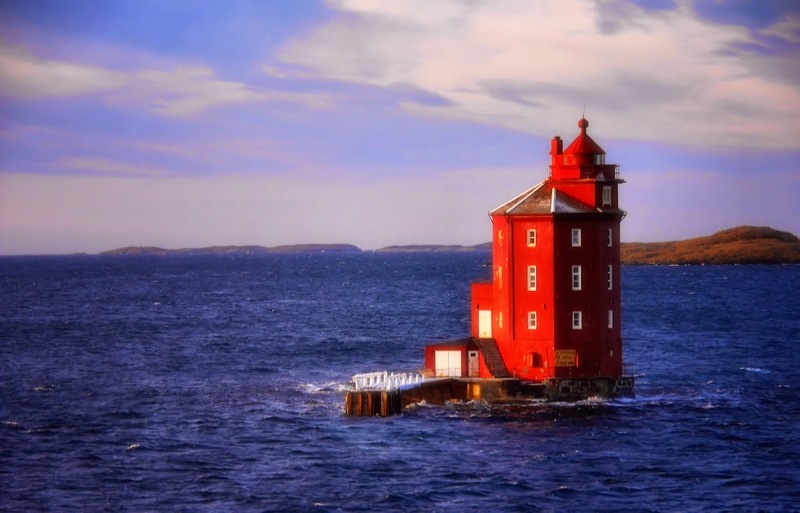 Kjeungskjær lighthouse from 1880 is located on an islet off Ørlandet not far from Trondheim in Norway. Here lived a whole Keeper family with children. Not exactly the worlds playground for the little ones. Own teacher for the children were brought out by boat and she also stayed there intermittently. 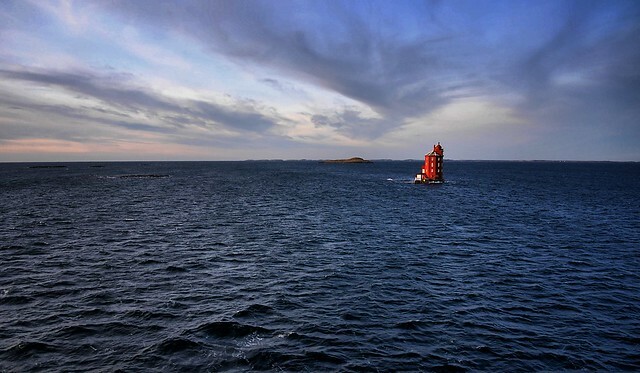 The lighthouse is 20.6 meters high. The lighthouse was automatized in 1987. Today it is also for rent by Kjeungen Kystlag. Going out from Trondheim with the coast express you will pass this lighthouse after a couple of hours. As I did this day in January on my way north to the North Cape.